Season 5 of "History at Risk", Tonal Vision's web series documentary detailing the more unconventional parts of American history, was an Official Selection of the Direct Short Online Film Festival in February, 2018. "History at Risk" Season 5 was also an Official Selection of the Web Series Festival in Provo UT in August, 2018 and of the Baltimore Next Media Web Festival in November, 2018. Tonal Vision was named a Constant Contact All Star for 2017 because of our exemplary outreach and engagement with our audience. This annual designation is something that only 10% of Constant Contact customers receive for their excellence in building better customer relationships. Jacquie Greff was saluted as one of Women in Film & Video DC's "31 Women in 31 Days" on March 5, 2017 for Women's History Month. 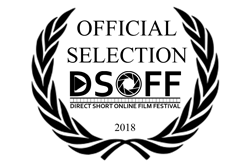 The independent documentary, Memories of the Warsaw Ghetto, that Tonal Vision produced for Dr. Eugene Bergman and deaf Director Alexander Genievsky, was an Official Selection of the 2016 Seattle Deaf Film Festival and the Hong Kong International Deaf Film Festival (Certificate of Appreciation Ministry of Culture). A short version of the film was an Official Selection of the Direct Short Online Film Festival and Move Me Productions Belgium Short Film Festival. DC Peer Award, Docudrama (under $50K), Bronze - Jacquie Greff, Kraig Greff & Frank Tybush, "Memories of the Warsaw Ghetto". 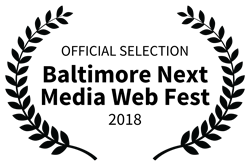 The film was also a 2015 Official Selection of the Pavlovsk LCV Deaf College Arts Festival and the Direct Short and Documentary Film Festival. These are earlier versions of the film that was finished in 2016. DC Peer Award, Bronze, Music Video - Frank Tybush, "Tha Madnezz"
Tonal Vision produced an independent film for deaf Director Alexander Genievsky, which was Best Picture Nominee for the Toronto International Deaf Film & Arts Festival and AbilityFest, Chennai, India; was an Official Selection of the Hong Kong International Film Festival, the Utah Valley University Film Festival, the Moscow Disability Film Festival; won the Audience Award at Rostov-on-Don Festival, Russia; and was on the Top List of Winners at Deaf in the Picture, Amsterdam, Netherlands. 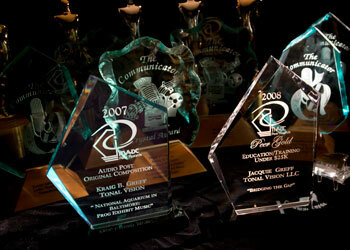 Communicator Award of Distinction, Music Videos/Low Budget - "Patrick Alban & Noche Latina"
Videographer Award, Weddings/Multi-Camera Production - "This Day I Will Marry My Friend"
2002 Communicator Award, Audio Competition Crystal Award of Excellence in 2 categories: Production/Original Music and Production/Jingle - "Ocean City Factory Outlets"